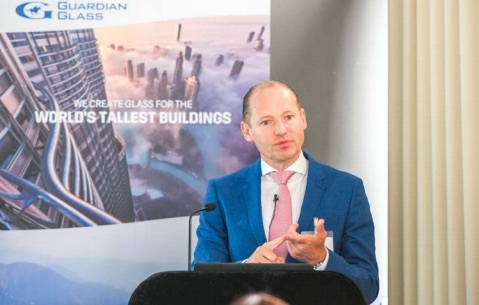 Guus Boekhoudt summarises the European performance and investments at Guardian Glass, one of the world’s largest glass manufacturers, with leading positions in float and fabricated glass products for commercial, residential and transportation applications. 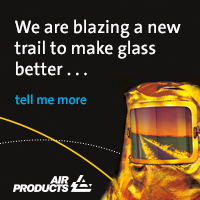 In the last five years, Guardian Glass has made significant investments in equipping its float glass plants with emissions control systems that significantly reduce (up to 80%-90% for certain pollutants) emissions from the float glass process. 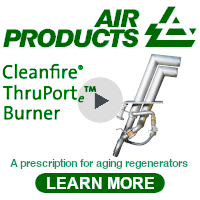 Specifically, these include nitrogen oxides (NOX), sulphur oxides (SOX) and dust. These investments reaffirm the company’s commitment to comply with all current legislation, not only in terms of emissions but also relating to the recycling of water and waste. Guardian Glass is committed to the efficient use of natural resources, while ensuring that its plants operate in a way that protects the safety, health and wellbeing of employees, the environment and the communities in which it operates. Two significant investments have also been made in Poland. In order to meet the growing demand for float, coated and fabricated glass products across Europe, the company is investing in an additional float and coated glass manufacturing plant in Czestochowa, Poland. This facility is to be located adjacent to an existing plant and is expected to start operations in the third quarter of 2019, creating more than 150 jobs. The plant will pull 1000 tonnes of glass per day and will include a technologically advanced coater to produce high performance coated glass. This will be the largest greenfield capital investment in Guardian Glass’ history and will further position the business as a leading producer of high performance, safety and energy efficient glass products for European residential and commercial buildings. Further evidence of the company’s commitment to Poland is that its existing float line in Czestochowa is going through a repair project at the moment, which will increase production capacity by around 25% by the time this article is published. Another furnace repair was completed at the Thalheim (Germany) plant in 2017, where production capacity was also increased by 20%. Significant investments have also been made in lamination facilities. 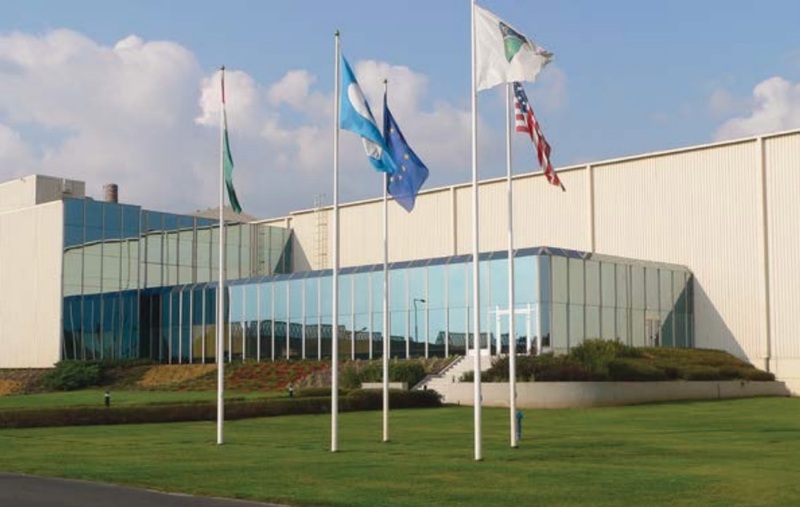 Recently, Guardian Glass has added a laminated glass production line at the Oroshaza plant in Hungary and invested in upgrading its laminated production lines in Tudela (Spain) and Dudelange (Luxembourg), which will produce both standard and coated laminated glass, as well as specialty products such as acoustic, coloured and thick laminated glass. Why is the company investing in its float, coated and laminated glass production in Europe? 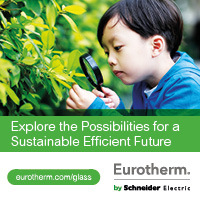 An increase in glass demand (float and energy efficient coated glass products) has been seen that is driven by a general trend across Europe to increase natural light in residential and commercial buildings, as well as the conversion of more and more residential windows from double to triple glazing, so these investments are essential. Country-level regulations in Europe require the use of safety glass in an increasing number of window and interior applications, for which laminated glass is the most effective solution. The desire for buildings to have more natural light is driving the trend towards larger, energy efficient windows, which requires the use of laminated glass for higher mechanical resistance and security. At this stage, it is worth pointing out the Guardian Glass vision, which is to “continuously innovate to create value for our customers and society, using the fewest possible resources.” Guardian Glass focuses its efforts in three main segments: Commercial, residential and specialty applications. A range of glass products is offered for the commercial segment, including glass for solar control, thermal insulation, low reflection, anti-glare, safety and security, sound reduction, decoration and privacy. This glass is supplied for a wide range of applications, including facades, balustrades, cladding, louvres, entrance doors, windows and skylights. Guardian wants to be a recognised leader in this segment. In order to do so, the company continues to focus on architects and designers and providing this community with the right products and support. This is achieved by offering a best-in-class product range for aesthetics. Essentially, this means developing products that are high performance but which also offer the aesthetics and appearance that architects are looking for – from the most reflective to the virtually invisible glass, or from coloured glass to neutral-looking glass, with a consistent appearance, whatever the viewing angle. Guardian Glass is currently in a redevelopment phase for its product range. In the last two years, eight glass products/solutions have been launched with enhanced aesthetics… and there are more to come.